Independent Practice essentially asks students to work with little to no assistance. 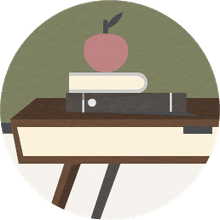 This part of a lesson plan ensures that students have a chance to reinforce skills and synthesize their newly acquired knowledge by completing a task or series of tasks on their own and away from the teacher's direct guidance. During this part of the lesson, students may need some support from the teacher, but it is important to empower students to try to work through problems independently before providing assistance to point them in the right direction on the task at hand. Based on observations during Guided Practice, what activities will my students be able to complete on their own? It's important to be realistic in assessing the class's capabilities and anticipate any challenges that may arise. This allows you be proactive in determining assistive tools that can empower students to work independently. How can I provide a new and different context in which the students can practice their new skills? Real world applications always bring lessons to life and help students see the value in what they are learning. Finding new, fun, and creative ways for your class to practice what they have just learned will not only help with mastery of the topic and skills at hand in the moment but also better assist students in retaining the information and skills over a longer period of time. How can I offer Independent Practice on a repeating schedule so that the learning is not forgotten? Students can get weary of repeated tasks, so looking for ways to provide a repeating schedule with creative options is vital to success. How can I integrate the learning objectives from this particular lesson into future projects? Finding ways to weave the current lesson into future ones, as well as past lessons into the current one, can be a great way to also support retaining knowledge and skills. Where should Independent Practice take place? Many teachers operate on the model that Independent Practice can take the form of a homework assignment or worksheet, but it is also important to think of other ways for students to reinforce and practice the given skills. Get creative and try to capture the students' interest and capitalize on specific enthusiasms for the topic at hand. Find ways to work Independent Practice into the school day, field trips, and even offer ideas for it in fun activities they may do at home. Examples vary greatly by lesson, but teachers are often great at looking for creative ways to foster learning! Once you receive the work or reports from Independent Practice, you should assess the results, see where learning may have failed, and use the information you gather to inform future teaching. Without this step, the whole lesson may be for naught. It's important to consider how you will assess the results, particularly if the assessment isn't a traditional worksheet or homework assignment. This section of your lesson plan can also be considered the "homework" section or the section where students independently work on their own. This is the section that reinforces the lesson that was taught. For example, it may say "Students will complete the Venn Diagram worksheet, categorizing the six listed characteristics of plants and animals." When assigning this section of the lesson plan remember students need to be able to perform this skill on their own with a limited number of errors. When assigning this piece of the lesson plan keep these three things in mind. Clearly explain the assignment and make sure to check for students understating before sending them off on their own. What is the difference between guided and independent practice? Guided practice is where the instructor helps to guide the students and does the work together, while independent practice is where students must complete the work by themselves without any help. This is the section where students must be able to understand the concept that was taught and complete it on their own.